As a city dweller, your opportunities for outdoor recreation are few and far between. Sure, you can always go for a run at the park or splash in the waves along the shores of Lake Michigan, but when it comes to rock-climbing, that usually requires a commute beyond city limits — that is, unless you go to Brooklyn Boulders. 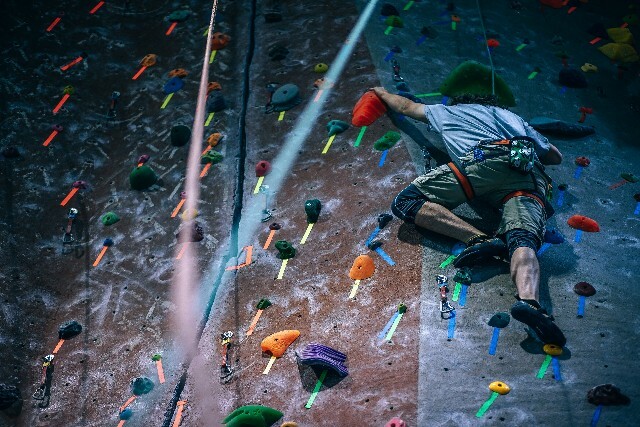 The 25,000-square-foot rock-climbing gym brings this outdoor sport indoors and to your neighborhood. Even novice climbers can get in on the action, just start at an Intro to Climbing class. An experienced instructor will show you how to safely maneuver the climbing and bouldering areas at Brooklyn Boulders in a small-group setting. Then you're ready to scale the walls of this colorful gym on your own or with friends — but expect to work up a sweat.